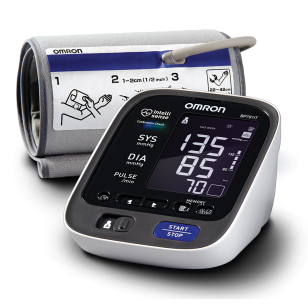 The Omron 10+ SERIES upper arm home blood pressure monitor (BP791IT) has advanced features that provide users with detailed information to better manage their heart health. With a touch of a button, you can learn all you need to know about your blood pressure and be reassured you're getting an accurate reading, thanks to the Calibration Check System and the Cuff Wrap Guide. Compatible with Omron Health-Management Software and Microsoft HealthVault – Track your progress on your home computer and see how your measurements trend over time (not MAC compatible). 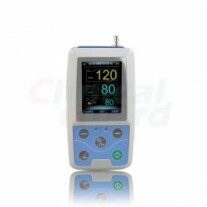 Calibration Check System – Dual sensors automatically double check each reading, providing you with added reassurance that each reading is accurate. 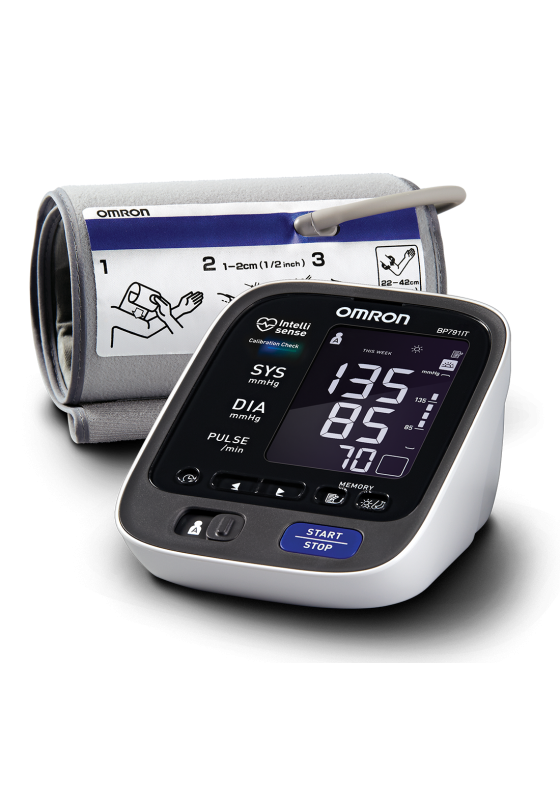 ComFit Cuff – Patented by Omron, the pre-formed arm cuff expands to fit both regular- and large-sized arms, to ensure more comfortable, accurate readings. TruRead – Automatically takes three consecutive readings one minute apart and displays the average, following the guidelines set by internationally recognized guidelines for home blood-pressure measurement.